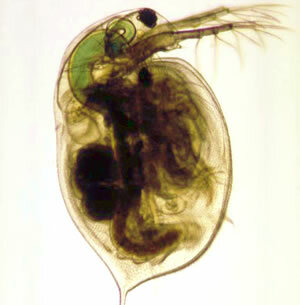 Daphnia is a small translucent crustacean (1–5 millimeters in length) used as a model to test the possible toxicity of different chemicals. This projects aims at developing a vision system to monitor the geometrical, morphological, and temporal parameters of the specimens before and after being in contact with the studied chemical. These features are of capital relevance to assess the toxicity of the chemical. The candidate will take care of acquiring the images and of implementing an image processing software to localize the specimens and to segment the different parts of their bodies (the head, legs, antennae, heart, etc.). Once properly identified, the candidate will implement tracking algorithms to collect statistical data about the motions of these different parts (frequency, amplitude, etc). This project will be carried on in collaboration with the Institute of Environmental Assessment and Water Research (IDAEA) in Barcelona.